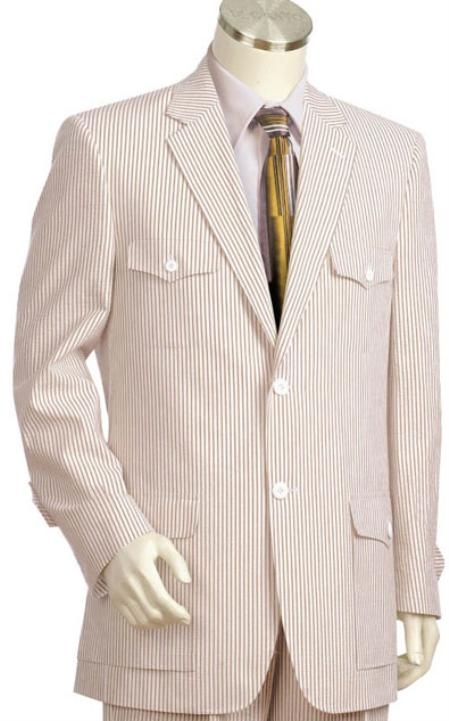 It is fun to know about one the most unique suit varieties that is suitable for summer sporty looks- A Seersucker suit. 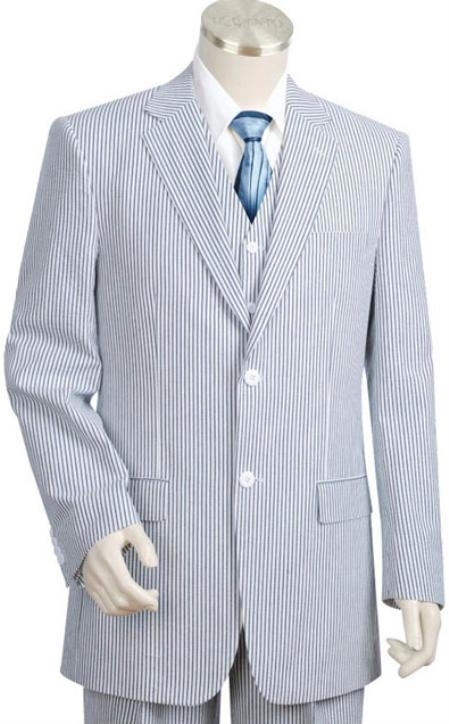 The suit gets its name from the special type of fabric from which they are actually manufactured from, the seersucker. This unique fabric is a full cotton fabric that is great for summer and sultry weather as it enables good air flow and has sweat absorbing ability. The fabric has several advantages and fun facts about them and it is appropriate to list a few of them here just to ensure that the readers get to know a few noteworthy stuffs about this type of fabric. Do you know that this soft fabric was used during the time of II World War for nurse uniforms? We assume that nurses in those periods were required to shed their sweat in order to save army men and common people who shed their blood during the war. Seersucker was the best friend of poor people in the USA until a few undergraduate students took a step as an air of reverse snobbery to change the situation and now you find the top models and fashion designers like Thom Browne selling it for a ransom- what a twist of time for the fabric? As you must know a seer seersucker fabric does not need any ironing process as it looks naturally wrinkled. It is easy to wash and maintain so, one of the favorites for men who like fabrics that require less maintenance. This is known as a fabric for gentleman and is available in an assortment of special summer friendly colors apart from the traditional green and blue options. We find that the most traditional for of seersucker are the most famous once and are being used in trousers, shirts, coats and many other mens clothing apart from suits.